It doesn’t seem like three weeks ago that we launched the brand new ScooterNova magazine, but it was and things have rocketed along ever since! Another Bank Holiday on the horizon means another BSRA National Scooter Rally. If you didn’t make it to the first BSRA National Scooter Rally at Scarborough for the launch of ScooterNova magazine, while you missed out on a cracking rally (as well as the Easter eggs and bubbly) here’s another chance to check out Issue One of ScooterNova magazine at BSRA #2. Since Scarborough we’ve had a lot of messages asking about our t-shirts, bags and other ScooterNova kit. Well, we’ve had a word with Crusader Promotions and they’ve been busy creating a variety of messenger bags and a ScooterNova tshirt which will be available at the Weston-super-Mare rally. 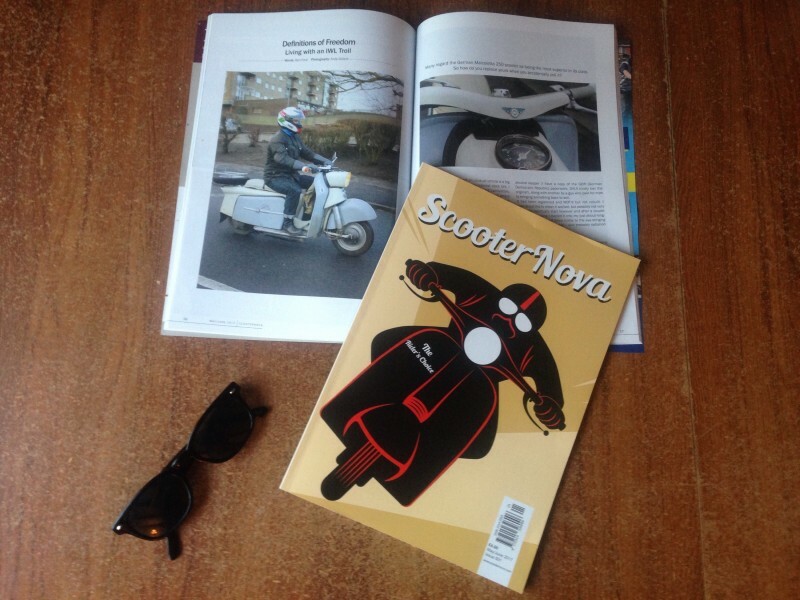 If you’ve not subscribed or bought a copy yet, then click here to find out all you need to know about buying ScooterNova magazine for yourself. Have a fun ride and we’ll see you on the campsite this weekend for the second BSRA scooter rally of 2017.